Discovering breakthrough construction methods and materials. Anticipating hurdles early on. Delivering smarter designs. Client-focused. Timely support. Informed decisions. We are structural engineers who design incredible buildings and structures across Canada and the United States. The Grotto Sauna is a private 800 sq ft paradise retreat in central Ontario. 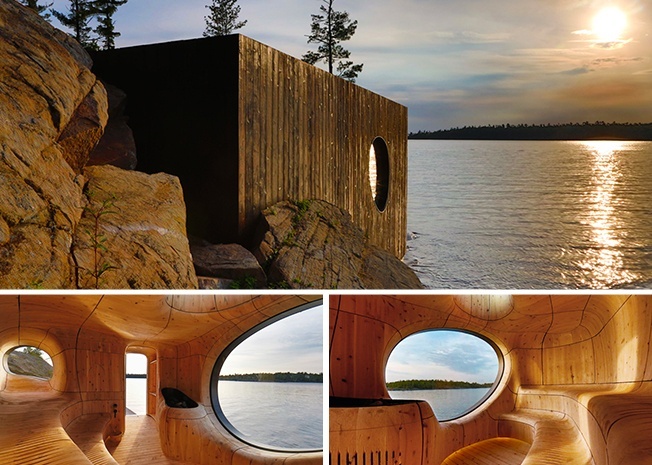 The sauna is a freestanding structure engineered to fit in perfect harmony with its surroundings while overlooking the lake. 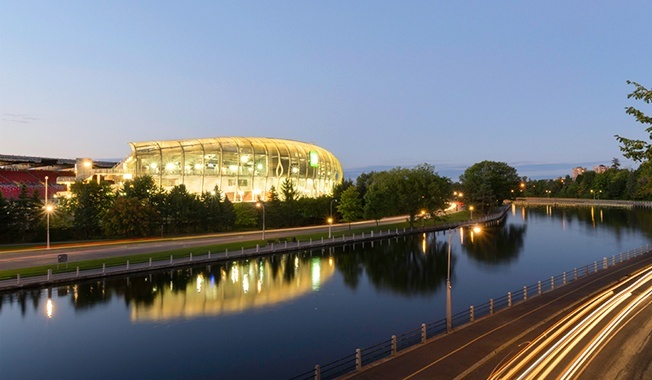 TD Place Stadium is a vision in the park. The stadium is home to Ottawa’s football, soccer, and hockey teams. There are thousands of wood and steel members, including 1200 purlins, and each one has a distinct geometry to create the laminar flow form. 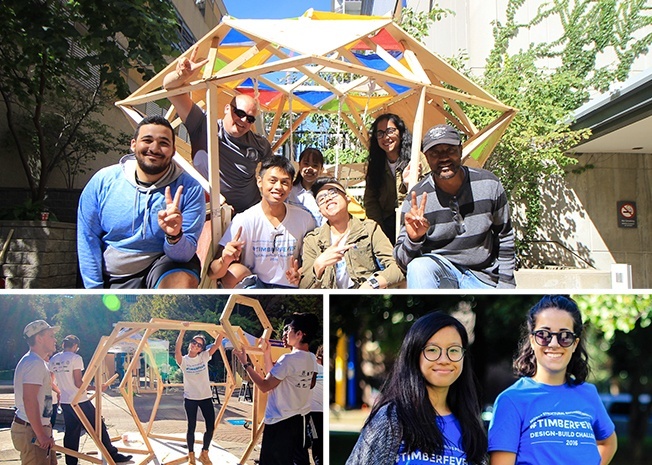 Our annual competition for university students challenges them to build a life-size structure out of wood. Teaming with industry leaders, we help mentor and shape the next generation of architects and engineers. Visit 6wood.ca for more information on mid-rise wood construction. Inspiring designs. Together we win. “Do you have a complex design? Interested in exploring new materials? Considering a different method of construction? Sign up for TimberFever’s 5th year anniversary competition!